Actor Michael Sun Lee thrives on the constant need of self-expression and he embraces the unknown. Just a few of Lee’s top rated shows he’s been in include, NCIS: LOS ANGELES, DIABOLICAL, TROPHY WIFE, HAWAII FIVE-O, and FULLER HOUSE which just announced Season 2 has been renewed at Netflix. His voice can be heard in book on tapes, video games, and animated films. 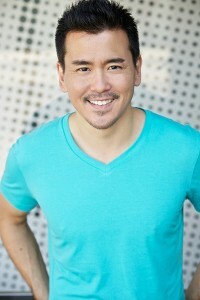 Currently Lee is in nearly a dozen movies in various production stages. For all fifty plus TV, movies, and shorts Lee has starred in the last decade, he deeply dedicates himself to each role and considers himself fortunate no matter how big or small of a role. 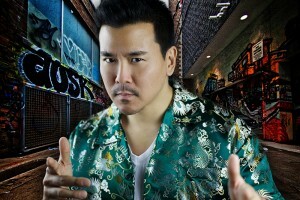 Originally from Honolulu, Lee did not pursue an acting career until after he had a revelation while attending college. The revelation was his counselor recommending an acting class in attempt to raise his GPA. The acting class gave him the bug and he knew acting was what he wanted to do as a career. One of his first roles was a TV pilot back in 1997 for a reboot of HAWAI FIVE-O. The series didn’t make it and Lee took his SAG card and headed to Los Angeles. With the mindset that getting roles would be extremely competitive, he was preparing himself for a long difficult road to success. Fifteen years after the 1997 HAWAII FIVE-O pilot, Lee appeared a couple times in the current running HAWAII FIVE-O series on CBS and got to work in his hometown of Honolulu. Here are just a few of Lee’s upcoming releases. A comedy horror anthology about the many horrors that can occur during the holidays. Segments include directors Kevin Smith, Dennis Widmyer, and Kevin Kolshch. Lee will star alongside Seth Green in their segment. A group of kids find classified information from NASA and an object from another Planet and work to get it back to its Alien rightful owners.